Our cities are growing in both size and number all over the world, and so are the technological ideas for improving our daily lives when roads and spaces are being shared to a greater extent than before. How can innovation help us to create smarter cities for the future so that for example transportation, logistics, housing, and common areas can be used more efficiently? The technology offers futuristic and impressive solutions on how to improve this in real practice â€“ that by extension can facilitate sustainable development, increase the quality of life for people, and create a time-saving and dynamic use for everyone in our great, growing cities. We would like you to join us for our upcoming TEDxGÃ¶teborg Salon event on May 30, on the topic â€œTech â€“ Focus on Innovative/Future Citiesâ€�. There will be two streamed TED Talks and a panel discussion and we encourage you in the audience to participate. At the event you will get to meet and discuss with people who also share an interest in this topic, where the exchange of ideas is central and sharing is inspiring. Panel members Joel Rozada Joel Rozada is the CEO and founder of The Techno Creatives, an international agency that works with interaction design, creating innovative digital products mostly within the automotive industry. Living and breathing design and technology, Joel has a degree in Interaction Design from UmeÃ¥ University and worked as an interaction design specialist at Volvo Technology before starting The Techno Creatives in 2007. There, Joel has helped to create the future of cars with projects like the Volvo Sensus Connected Touch, integrating a sleek touch screen into the automobile allowing for Spotify connectivity, voice command recognition, and Internet access. Other projects include the Saab IQon Infotainment System, Yacht Defined, and Bokio where Joel and his team create a user experience combining business logic, design, and technology. Shilan Demir is a part of Volvo Car Groupâ€™s team responsible for shaping the future of mobility and autonomous driving. Shilan has a mechanical engineering background from Halmstad University as well as a researcher background from Chalmers University of Technology and is now managing model year Programs for SPA platform and Autonomous Drive project at Product Strategy and Vehicle Line Management at Volvo Car Group, as well as Drive Me project leader. Shilan is responsible for coordinating all programs and securing a profitable balanced project content during the life cycle of the programs. Autonomous driving will change the future of our cities and we look forward to discovering more about the possibilities and the limitations of autonomous cars. Lukas Memborn is an architect and environmental strategist who currently works for Fastighetskontoret and Stadsbyggnadskontoret in Gothenburg. His mission is to investigate the possibilities for additions in the already dense urban environment, but also to carry out an inventory of older city plans from when Gothenburg was founded â€“ to see if some of them may still be effective and relevant for the future. Lukas, educated both at KTH and Chalmers, began to wonder how cities work in certain ways while he was living in London, and how it was reasoned when they were initially built. He found his passion in city planning, and now, he is part of creating the future of Gothenburg. 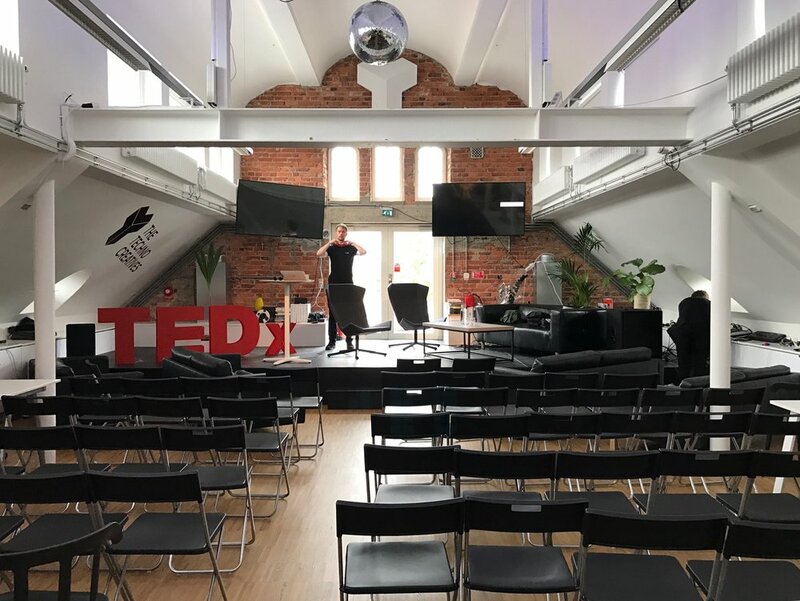 At a TEDxGÃ¶teborg Salon event with streamed talks you will watch two to four streamed TED talks on a specifically selected topic, and be guided to discuss related questions in small groups. In the spirit of ideas worth spreading, TEDxGÃ¶teborg is a local self-organised community that brings people together to share a TED-like experience.